Colorful flowers and bright spring colors revive spirits and remind us of the incoming of spring. Svitlana’s favorite flower is alstroemeria. She has wonderful twins and two Homelands. “Latvia is my second Homeland. 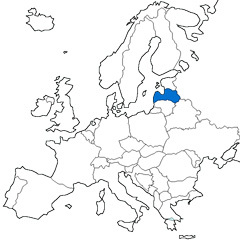 Both of my parents are half Latvians. In the early 1960’s my father came to Talsi in order to visit his relatives and came back to Kyiv with my mother :)) Than my elder sister was born in Talsi and whole my childhood I was quite jealous because of the fact that I was born in Kyiv. Being absolutely different, Latvia beckoned and fascinated me. Many years have gone since that time. Many things have changed. We have changed. I continue to discover Ukraine. I adore the Ukrainian language and teach my kids to do the same. But my love of Latvia has remained unchanged since my childhood” Svitlana said.